time concept - past present future colorful sticky notes on blackboard with white chalk arrow and eraser smudges" Expand on your theory with our Past Now Future Business PowerPoint Template 1110. Establish the cause of your confidence. 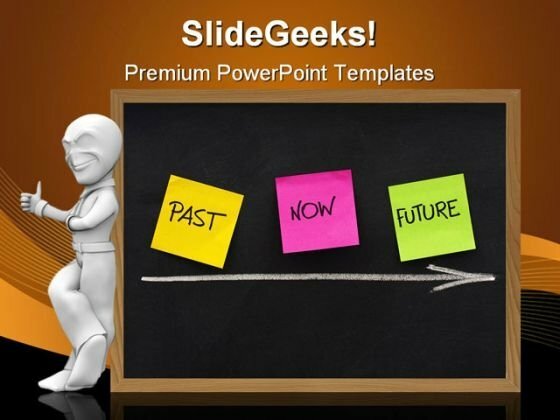 Your presentations will become famous with our Past Now Future Business PowerPoint Template 1110. Dont waste time struggling with PowerPoint. Let us do it for you. 24 7 Time Planning PowerPoint Templates And PowerPoint Themes 1012-Develop competitive advantage with our above template which contains a diagram of 24/7 which stands for 24 hours a day, 7 days a week, usually referring to a production line or service facility or any other business available at all times without interruption. Use this template for time planning, time management, time and business schedules. Outline your targets to your team. Inform them of the various means they have to achieve them. Help them align their arrows to consistently be accurate.-24 7 Time Planning PowerPoint Templates And PowerPoint Themes 1012-This PowerPoint template can be used for presentations relating to-"Time concept, clocks, time planning, science, success, business" Achieve more with our 24 7 Time Planning PowerPoint Templates And PowerPoint Themes 1012. Your ideas will exceed your dreams. Be as fastidious as you want to be. Our 24 7 Time Planning PowerPoint Templates And PowerPoint Themes 1012 will be more than a match.